Chatbots continue to gain in popularity in customer service. There’s no questioning why: they can address most simple customer issues 24X7 every day of the year at a lower cost than a customer service agent. It’s no wonder Gartner predicts twenty-five percent of customer service and support operations will be using some type of chatbot by 2020. 2020 will also be the year, according to another prediction by Gartner, that eighty-five percent of all customer service interactions will be handled by a chatbot. While most customers having a conversation with a chatbot probably believe it’s powered by some form of artificial intelligence, the truth is that’s not always the case. In actuality, it’s typically machine learning, a branch of artificial intelligence doing the work. Machine learning relies on the system examining prior customer problems and solutions to understand what types of solutions work for customers and using that to power the chatbot. Another method of powering chatbots is through a series of defined rules. These rules establish what types of problems the chatbot is familiar with and can deliver solutions for. 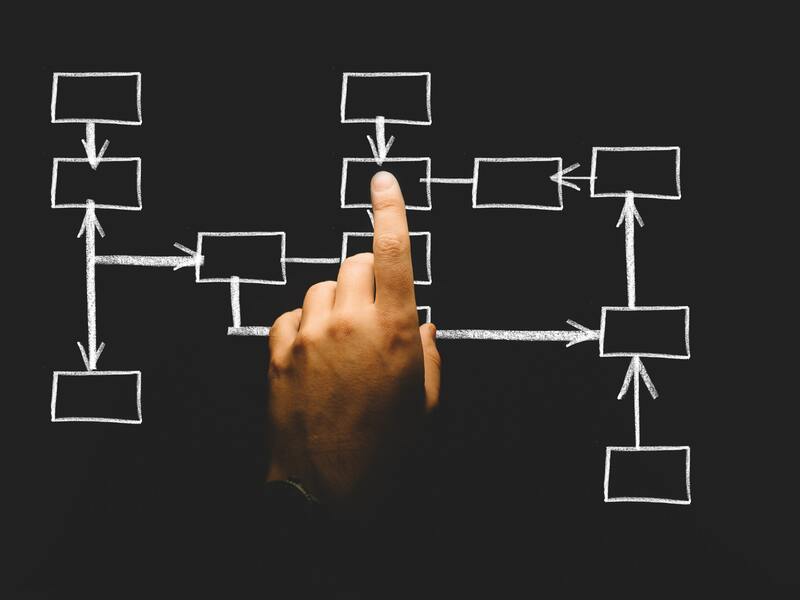 Like a flowchart, conversations are mapped out as to what an anticipated customer interaction would look like and the appropriate solution or solutions to offer. While artificial intelligence and machine learning hold a lot of promise for the future, there’s reason to reconsider their use at this time when implementing a chatbot. In fact, with the current state of technology, there’s an argument to be made that on the path to real intelligence, rule-based chatbots rule–for now, anyway. Rule-based chatbots rely upon a solution being mapped from initial customer interaction and recognizing keywords to channel the customer down the correct path to a solution. While this means the chatbot will have its limits, it also means a customer won’t be asked repetitive or nonsensical questions because the chatbot has distinct guardrails in place. Because of these limits, a company using a rule-based chatbot in customer service has two major responsibilities. The first is to set clear expectations with customers as to the scenarios a chatbot can assist with, and beyond that defined set of interactions, a customer should use other self-service options or contact a live customer service agent. This will limit customers from becoming frustrated by a chatbot’s limitations. The second responsibility is to script the chatbot to give up on problems it cannot help with. Nothing is more frustrating for a customer than to waste their time with a chatbot that will never be able to solve their problem. Value the customer’s time and immediately offer assistance by transferring the customer to chat live with a customer service agent. It goes without saying the chatbot should pass all details of the conversation along to the customer service agent so the agent need not start over at the beginning. Again, this will limit customers’ frustration. Rule-based chatbots do not rely on machine learning. Consequently, a rule-based chatbot has a faster time-to-relevance, delivering a faster impact on customer service. For one thing, months or years of data need not be analyzed by an algorithm to understand customer problems and the possible solutions. Remember, machine learning requires the machine to be “taught” before it can be useful. A rules-based approach only requires a subject matter expert to assist in building the conversational flow. Not relying on machine learning also means common customer issues can be provided out-of-box. Common customer requests like checking an order status or creating a new case provided by a chatbot vendor can immediately be put to use with minimal customization. Though a chatbot is launched, the work is far from over. What was created in a lab doesn’t always hit the mark. Once again, a rules-based chatbot has an advantage. As customers interact with the chatbot, new patterns in the conversation can be observed. It might be the chatbot isn’t matching the words customers are using with the available conversations and solutions because the wrong terms were scripted for the chatbot to identify and respond to. This learning can be quickly incorporated into new revisions of the conversational flow. Customer interactions completely unrecognized by the chatbot will also create new opportunities. By examining queries that aren’t understood by the chatbot, these may indicate new solutions to consider adding to the chatbot’s solution library. In both of these cases, a rules-based chatbot is able to respond more quickly than with the machine learning. Simple tweaks to existing conversations and developing new conversations don’t require adjusting existing machine learning algorithms or starting new learning projects. There’s no denying the progress being made in the fields of artificial intelligence and machine learning. Today, both offer many benefits that can be realized in customer service. The time is coming where both will take chatbots a giant leap forward, with intelligence capable of troubleshooting and solving new problems. But we aren’t there yet. Today, rule-based chatbots are a safer and more beneficial option. Their very limitations reduce the chance of failing to solve customer problems, thereby reducing customer frustration. They can be brought online much faster. And they are more nimble in terms of adjusting to customers’ expectations. All things considered, for now the safer bet is sticking with the rules.